The Pool Room is a lovely large, sunny room with a queen and single bed in it - accommodating a family of 3. There is a shower etc en suite. Pots, crockery and cutlery for 3 people. This room opens onto our sparkling pool. 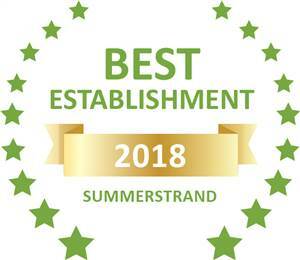 Based on reviews of establishments, Wilmot Cottages has been voted Best Establishment in Summerstrand for 2018. © Copyright Wilmot Cottages 2015. All Rights Reserved. Wilmot Cottages Located at:13 Bradley Rd, Summerstrand, Port Elizabeth, Eastern Cape.Phone: 041 583 1770. http://www.wilmotcottages.co.za.